The other day, I was at a coffee shop where the Wi-Fi seemed slow. I didn't run actual speed tests, as that would have just added to the network load. Instead, I fired up the excellent WifiInfoView program from Nir Sofer. Windows, like many operating systems, provides a pathetic amount of Wi-Fi information. 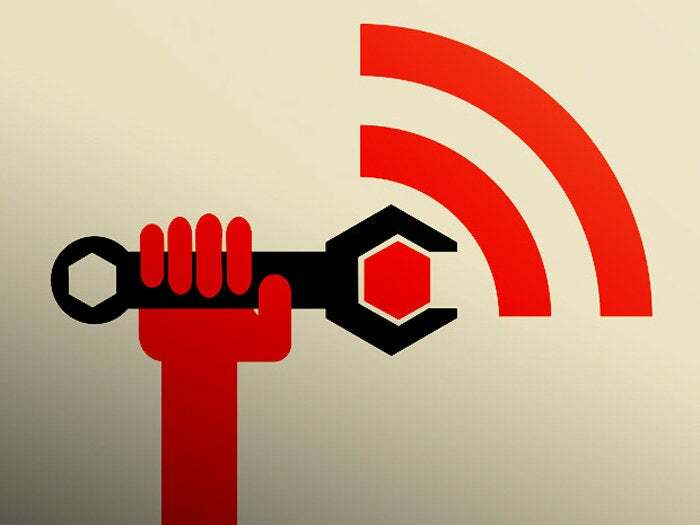 Without sufficient technical data, we are left to guess at the root cause of slow Wi-Fi. WifiInfoView is the motherload of techie information about your Wi-Fi environment. I ran the program just to check on the signal strength, but I learned much more. The coffee shop had two Wi-Fi networks, one on each frequency band (2.4GHz and 5GHz). I had connected to the 5GHz band. If you are close enough to a router to get a strong signal, the 5GHz band should be faster. If the 5GHz signal strength is weak, the 2.4GHz band should offer a stronger signal, as the lower frequency allows it to better pass through obstructions. Above is a small excerpt from the WifiInfoView report showing the two networks (each had a different SSID) belonging to the coffee shop. The last column, Maximum Speed, illustrates the point about speeds. For the 2.4GHz network, it is 216Mbps. For the 5GHz network, it is 1,300Mbps. The PHY Type column shows that the 5GHz network supports Wi-FI N and ac and that the 2.4GHz network supports Wi-Fi N and G. The WPS Support column shows that whoever configured the router did not bother to disable WPS. They should have. All told, no surprises here. What was a surprise was the Stations Count, which is the number of devices (a.k.a. stations) connected to a given network/SSID. There were 57 devices using the 5GHz network, and none on the 2.4GHz network. Next to this is the Channel Utilization, the routers opinion of how busy its Wi-Fi channel is. Considering how many people were using the 5GHz network, it is no surprise that it shows as 83.1 percent busy. That the 2.4GHz network shows as 38.4 percent busy without any connected devices is discussed later. The Station Count and Channel Utilization fields are new additions to WifiInfoView. The current version is 2.27; they were added in version 2.25. Sadly, not all routers and access points report this information. The program documentation says that is only available from devices that report "BSS Load" information. My Pepwave Surf SOHO does not provide this data. Neither do Apple routers, Google Wifi or the Linksys WRT120N, E2500 and E1200. Among the companies that do offer it are Ruckus, Technicolor, Asus, Ubee and Securifi. Some devices from Arris, Belkin and Netgear do not provide this data; others do. These fields are just the tip of the data iceberg offered by WifiInfoView. The screenshot above illustrates this, but even that screenshot shows only half the available data. The fields that most interest me are the SSID, Average Signal Quality, the Channel being used by the SSID, the Channel width and the range of impacted Channels, the company that made the router/access point, the router name and and model, Security (WPA2-PSK normally), Cipher and WPS Support. A cipher value of CCMP is the most secure; it is typically referred to as AES elsewhere. The program also reports the BSS Type, but my experience has been that it is pretty much always Infrastructure. I have yet to run across an Ad-Hoc Wi-Fi network. I normally sort the display by Average Signal Quality to see the networks nearby with the strongest signals. As a rule, your Wi-Fi network should use different channels, on each frequency band, than your neighbors. Sorting by channel number is also valuable. For one thing, it points out people who are doing it wrong on the 2.4GHz band. Wi-Fi was designed to let multiple networks politely share the same channel. Thus, things work much better if three networks are all on channel 6 as opposed to one being on channel 5, another on channel 6 and another on channel 7. In the latter case, all networks suffer from radio interference, and no one benefits. There are only three channels in the older 2.4GHz band that do not overlap/interfere with each other: 1, 6 and 11. The vast majority of routers and access points limit themselves to these three channels. Among the routers that I have seen using rogue channels: Netgear using channel 3, Asus and Apple on channel 4, Arris and Routerboard.com on channel 5, and Technicolor on channel 10. What we can't tell is whether these poor choices were made by the firmware in the routers or the device owners. Sorting by channel also provides insight into the Channel Utilization. According to Nir Sofer, the program's author, this "specifies the percent of time that the channel is busy." Note that it is not the percent of time that any one particular router is utilizing the wireless channel. In a very crowded Wi-Fi area, I sorted WifiInfoView by channel and found about half the routers reported a Channel Utilization for channel 1 on the 2.4GHz band. Their percentages were: 27, 31, 58, 43, 20, 22, 32, 45, 54, 11, 71, 63. The best estimate for the actual utilization of this channel is probably provided by the average of all these numbers. In a crowded Wi-Fi neighborhood, where every 2.4GHz channel is used by multiple networks, your best performance will come from avoiding the busiest channels. So, addressing an earlier topic, why does a network with no devices report that its channel is 38.4 percent busy? Every Wi-Fi network has to periodically broadcast its availability or else no one would find it. My best guess is that the router detects traffic from nearby networks when it goes to broadcast these announcements. In the end, it turned out that the reason everyone in the coffee shop was on the 5GHz network was simple. The networks had different passwords, and the one I was given worked only on the 5GHz network. WifiInfoView is free and portable. You simply download a zip file and run the included WifiInfoView.exe executable. The program works on Windows Vista, 7, 8, 10 and Server 2008. Both 32-bit and x64 systems are supported. Mr. Sofer's website, nirsoft.net, has a large collection of excellent, free, portable utilities for Windows. Highly recommended.